Purchase your tickets conveniently online using the options below. You will be directed to PayPal, where you can complete your order using a credit card. Your tickets will be waiting for you at the Ticket Table in the church lobby, a minimum of one hour prior to the concert. 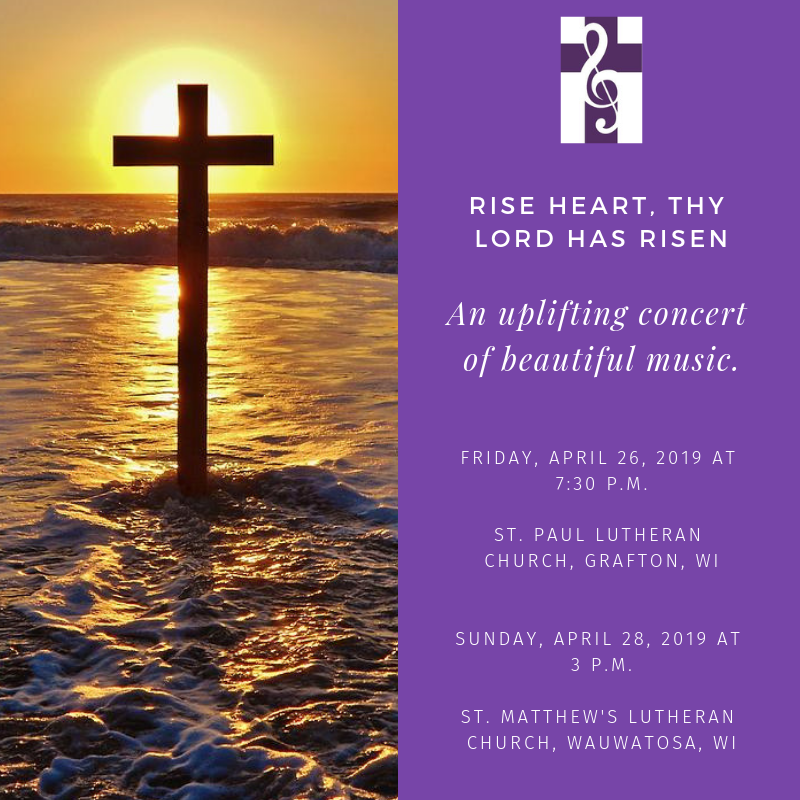 Spring Concert - Rise heart, thy Lord has risen.